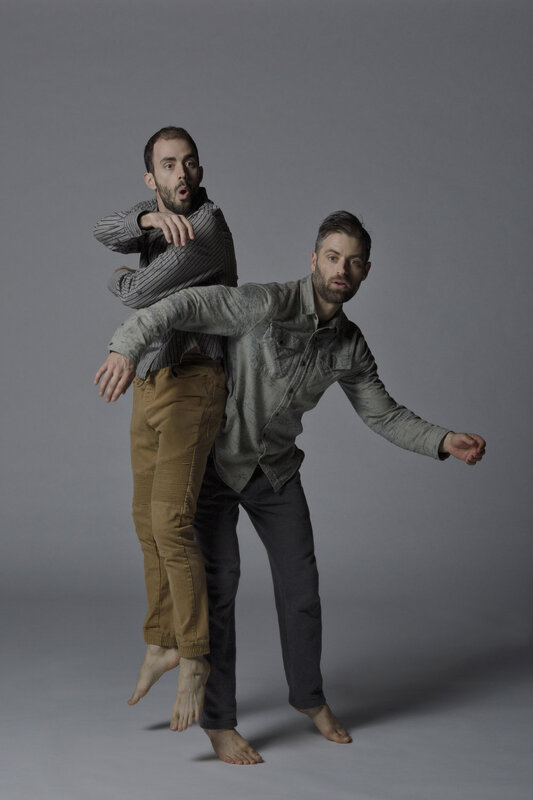 SAD Contributor Katherine Chan writes about Vancouver dance company MascallDance's upcoming production OW, running July 4th - 14th, including an exploration of both the choreography and the choreographer, Jennifer Mascall, herself. Jennifer Mascall, founder and Artistic Director of MascallDance Society, has been an investigator of movement for over 45 years. As a conceptual creative, her choreography evokes a creator designing a new world. When she manipulates space, the changes affect the movement of bodies, which then influence sound. While attuned to bodily movement, the Mascall also works consciously with the space in-between. Approaching MascallDance’s 30th Anniversary, Mascall continues her investigation into sound and dance with the company’s latest performance, OW, premiering in July. Her career-long quest bleeds into this latest creation; OW anticipates a relentless search through and expansion of the many creative possibilities between sound and movement, with each element examined in the choreography. In the world of OW, stillness and contact between bodies translate into a varied range of sounds. In addition to the visuals of dance, audiences are presented with the vocalization of how touch feels on the performers’ bodies. The performance venue will be transformed to match the choreographer’s vision, as space will be a heightened aspect of the performance, influencing the dancer’s vocal and physical presentation. The dance studio that is MascallDance Society, where Mascall has worked for the past couple of decades, will host its own creative newborn; freeing capacity to greet OW’s noises and movements. Entering the visceral experience of OW is to embark on an expedition devised to locate the tone of the physical system (of the body) and the pitch of a particular part of this system. The work’s title is a reactive sound indicating an impact on the body. It suggests an inevitable interaction between sound and the body; something habitual yet unexplainable. Mascall’s early influences include other artists similarly questioning prevailing notions of sound and music. Renowned dancer and choreographer Gus Solomons Jr. designs sounds that accompany the body. Recalling a day spent as a student in the studio with Solomons, Mascall describes her experience: “These strange sounds [he made] were the most interesting thing I’d ever heard.” She was also deeply affected by composer and pianist Frederic Rzewski’s compositional and performance style in his legendary Attica. During his piano playing, Rzewski called out lines from a letter written by an inmate about an impending riot at Attica State Prison. This inspired Mascall’s first choreographic work which inherited the same title, Attica. Entering the 20th century postmodernist zeitgeist in New York City as a young artist, she studied with dancer and choreographer Merce Cunningham. With sound, space, and time as usual subjects of his experiments, he famously said, "I'm not expressing anything. I'm presenting people moving." Composer John Cage, Cunningham’s closest collaborator, created an entire performance exploring the absence of sound in his 1952 composition, titled 4’33” . “In the early development of my career, in order to try and understand what dance really was on its own terms, I didn’t work with music at all,” Mascall says. Parallel to an extensive career in the dance field, she was immersed in somatic movement in the early ‘90s. She spent five years studying “authentic movement” and working with silence with master teacher Judith Koltai, and four years diving into Body-Mind Centering™ with its founder, Bonnie Bainbridge Cohen, which led to her certification as a teacher. The process of working with silence and somatic practice has since profoundly contributed to her research and conceptualization of performative ideas. By challenging the role of sound, her repertoire repeatedly attempts to illuminate dance’s existence “in its own right”. Woven into the choreography is a philosophical question: If music imposes a structure for dance to exist within, what does dance look like on its own? Influenced by musicals, yet in post-postmodernist fashion, Mascall abandons plot and narrative entirely, and instead focuses on how rhythms and movement interact. In OW, the dancers express sounds from sources within their bodies, allowing their bodies to move in response to the spontaneous sounds they make instead of following music with choreographed movements. Concerned with looking inward and expressing outward through movement, the experience of OW is unexpectedly playful; it is simultaneously out-of-the-ordinary and familiar. Song and unearthly sounds are met with mundane, pedestrian ones. The juxtaposition allows for a fluid and unfolding aesthetic, echoed in the space between performers. Mascall’s latest creation is a dance between sound and movement, zealous in revealing the authenticity of the marriage between the two. OW shines a light on the exchange between rhythm, space, and the transference of sounds within. It presents a perpetual exploration of and fascination with the intimate relationship between the vocal and the physical. To watch OW is to be engulfed by the visualization of sound directing body, and to understand how the manipulation of space influences the energy produced by sound and bodily movement. OW premieres on July 4 - 14, 2018 at Mascall Dance (1130 Jervis Street, Vancouver, B.C.). Performers involved in this body of research include Anne Cooper, Vanessa Goodman, Eloi Homier, Billy Marchenski, Molly McDermott, and Walter Kubanek. Scoring and performing live in the production is composer Stefan Smulovitz.